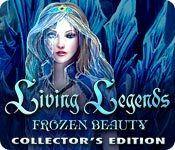 Living Legends: Frozen Beauty Collector's Edition is rated 4.5 out of 5 by 85. Rated 5 out of 5 by Talenyn01 from A wonderfully exciting game This game is an entertaining twist on the Snow White legend. In it an evil queen is stealing the youth from the fairest maidens in the world in order to achieve eternal youth and beauty, leaving her victims as ice statues. The player needs to save her little sister Elizabeth from the queen’s clutches. She is aided along the way by the ghosts of previous victims, including Snow White. The story continues in the bonus, when Elizabeth is captured by the evil sorcerer (the same character as in the last game. The player must acquire a magical flower from the center of a labyrinth to exchange for the wayward girl. The plot line is actually quite gripping, a wonderful surprise from the previous game. The scenery is beautiful and the characters less stylized than the previous game, though still rather blocky. The music is essentially the same as in the first game, but seemed less intrusive and more like pleasant background noise in this iteration. I would classify this game as moderately challenging for the most part. There were generally a few difficult objects in each HOP and the mini-games were definitely more difficult than in the last game. The confusing object labels were the most difficult aspect of the game. For example, a “horn” might refer to an animal horn but be in the same image as a bicycle horn. The game progression (i.e. what to do with each object in order to move forward) was also more difficult. This was particularly problematic in the bonus game, where the player might receive an object in one scene that needs to be used in a scene all the way across the map, which in turn yields an object to be used back near the original scene. I highly recommend this game for its interesting storyline and beautiful imagery. It is almost like a better version of the first game in this series. I suggest buying the CE version, especially if you want the full build-up to the next installment, which finally finishes the evil wizard’s storyline. If not, the SE is a good standalone game that is understandable and enjoyable even without playing the prequel or sequel. Rated 5 out of 5 by JulzCat from Still A Great Game After All These Years!!! I've had this game on my computer for about 4 years and I still go back and play it again. It's THAT good!! You get a lot of bang for your buck with this game. The SE game itself is pretty long and then you get a bonus chapter with the CE. They also have a really cool trophy room and my favorite part...a cute little squirrel to fix up a cozy house for!!! This game is a big step up from the first in the series (Ice Rose). They've added a map and voice-overs. It's loosely based upon the Snow White and the Evil Queen story (the evil queen even VERY closely resembles Charlize Theron). The puzzles are challenging and loads of fun and there was SO much to do. You'll love it!!! Rated 5 out of 5 by M7k2 from GREAT game, My favorite Big Fish Game yet! I fell in love and became a big fish games fan from first playing the free trial version of this game by chance. I really recommend this game for players of all levels as the gameplay is so well paced with fun, varied puzzles. It also is recommended for its beautiful background, well designed in-game items, and overall breathtaking visuals. Music was honestly not that memorable by itself, but suited the mood of the game very well. 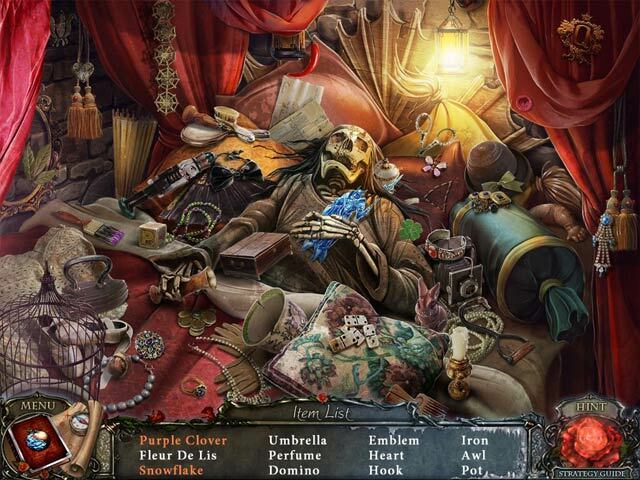 Those in love with fairy tale elements in many big fish games like me will absolutely love this game. I just wish the ending in the bonus chapter was a bit longer or more explanatory. But while overall storyline was simple, it was very fun to follow, and this game has so much replay value. Worth buying collector's edition for the great bonus chapters and extras too! Living Legends Frozen Beauty will always hold a special place in my heart out of all the big fish games I have ever played! Rated 5 out of 5 by navajoeyes2 from beauty for apples in ice The graphics were great. There are many stories on this subject about Snow White since this is a classic to build on, the imagination can run wild and all have been great. The story has you coming and going but definitely not your interest in getting to the end. The sisters were a little girly in there talk. But very explosive in areas. I would have loved some of the other pics as wallpaper. If you want to know more you will have to play the game! Rated 5 out of 5 by lamp_post from Great well thought out game! This game has it all. You can tell the developers put sooooo much thought into making this game. The graphics are great as is the story line. Voice overs are good. Jump map. Fun factor is good. Actually lol several times. This is my new favorite devs...Even beats BF in my opinion. Good Job..Keep them coming. Rated 5 out of 5 by Jem_Jerrica_Guy from room for a 3rd? You stop the main evil and then go after the baddie... the bonus chapter ends in hopes there is a 3rd installment in this series. Rated 5 out of 5 by yogijudy44 from MORE LIKE THIS!!!! Absolutely loved this game. First game I've played almost straight through. Love the squirrel pet and it's animated screen saver. The storyline, graphics, flow of the game, interactive map are all right up my alley. Please, please, please lets have more like this one. Rated 5 out of 5 by catdroid from Save your Sister This is a graphically beautiful game with a long playing time. You have to save your sister from the Evil Queen. There are many many locations You have a jump map that also lets you know where there is something to do. There are 3 modes of play - I always play in casual The game lets you know how long you have been playing. You get a pet squirrel to help you out There is a SG and I did use it a few times when I had not picked something up along the way. The only con is the graphics in the HO'S were a bit grainy and some items hard to see. I loved this game and will play it again....what higher praise. Rated 5 out of 5 by nards1975 from Easily my new favourite game I did not want this game to end. 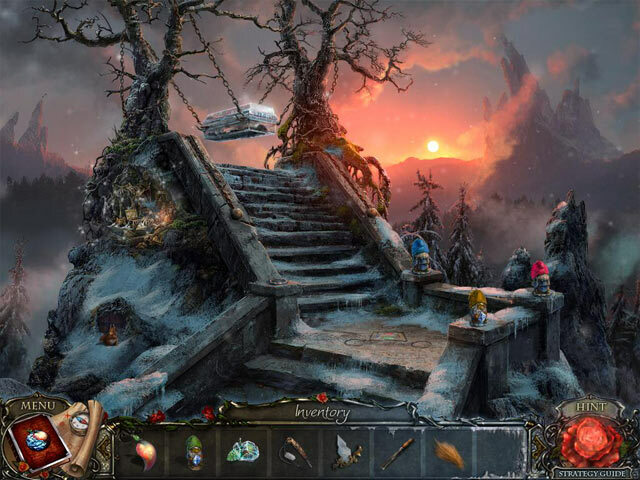 This follows on from the first game Living Legends: Ice Rose The graphics are truly amazing. I always love games where you can skip the puzzles you don't like. Also if you need to use the hint button just for where to go next, it will instantly point you in the direction you need to go and there are no issues with it having to recharge. You can see alot of thought and detail has gone into this game. Hopefully this series will keep going. The Queen has chosen your sister as her successor.